Once a hotel, now a home for senior citizens, to live independently or, when needed, access a care unit, is the place my father chose as exit platform. The building has Escher-like features. Doors along every corridor look alike. The only way to determine floor levels are the artworks of residents gracing the walls. At one end of the building is a sluggish and brainless elevator. Hardly bigger than a telephone cell, it is airtight and eerily silent. Once inside, the occupant is suspended in time, with no sense of movement, up or down. ‘Can we squeeze in?’ I ask, pushing my dad’s wheelchair into the tiny cubicle. The man is baffled. Landing at ground level was not his intention. He is the reticent carer in training that worries dad, who detects a touch of paranoia, a sentiment he himself is familiar with, plagued at times by imagined dubious intentions of people. I’m a lost case to paranoia, but I allow for paranoid people’s intelligence. They value truth. Occasional bouts of confusion haven’t impaired my dad’s wit. He suggested we should discover what interests the uncommunicative carer so we can butter him up. I tried, going about it the wrong way. ‘Do you like alcohol?’ I enquired, thinking of a choice bottle from my dad’s apartment, the home I must soon dissolve. ‘I’m no alcoholic,’ was the curt reply. Newcomers from Eastern Europe tend to have admirable principles. ‘So, so,’ my dad says, with a melancholic pout. My dad shoots me a wicked smile. His library, I discovered, apart from books on art and travel, had accumulated works on ideological themes he used to rubbish with a vengeance. As a young mother in rural Somerset, insular for a while, I did an OU course on Comparative Religion, wanting to explore the key influences prophets and their early followers had on cultures throughout history. My dad’s comment at the time was, ‘Next you’ll send Jehovah preachers to my door.’ Attempts to bridge our bizarre dissonances had only ever elicited angry reactions, which I chose not to energise, enduring the grief. My dad’s cranky nature shielded a fine intellect, fed by reading and extensive travelling. His disapproval of me, I sensed, held a childlike envy of my bohemian autonomy, freedoms not available after the war. We battled with our shadows in isolation, me remaining the wayward daughter that lived abroad. During my most recent visit, I arranged for some of my dad’s paintings, photographs, books and creative tools to be around him in his care abode. They’ll provide openings for conversation with those who now look after his daily needs. Our war is over. It is heartening to observe how my dad’s reclusive attitude softens and, like blossoms falling this spring, gives way to new fruit. Close your eyes … switch on a light in the area around your heart and see the image of a rose bud emerge … at first a luminous tip of colour … the bud stirs … the sepals gradually turn outwards. 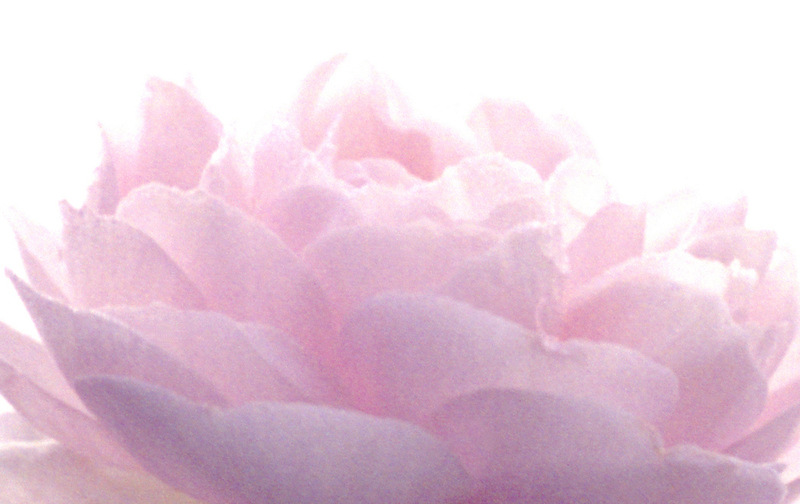 See the petals unfold in a slow and fluid movement … until the rose has opened and exudes its delicate fragrance. Imagine the rose expanding in size … to a palatial sphere that invites into its passages. Overcome the weight of your thoughts and wander barefoot with feather-light steps towards the luminous centre. Rest here for a while … absorb the tenderness of the realm’s ambience and the exquisite fragrance of rose into every cell of your body. Move your consciousness upwards … lift on spirit wings and witness the rose palace merge with the landscape below. Soar higher and look down on clusters of houses, roads, cities, fields, hills, rivers, woods … see the shape of countries, continents, coastlines and oceans spread and curve the horizon. Move higher still, until the whole earth floats in deep space like a marble. Feeling light and trusting, imagine you are level with the moon and look back at the shining marble turning in space … ribbons of white cloud, blue oceans, pale sands, green forests, red rock and snow-topped mountains – your home – vast in your memory but also small enough to be held in your palm. Think of the people who have been and are close to you … in love … or alienated by hurt and dispute … people you shelter in your heart or have expelled from it. Sense the mysterious weaving of souls in the tapestry of the universe … your separate thread belonging and active in the creation of earth, the home of your human family. We are the mirror as well as the face in it. Slowly descend – return to earth – into the rose palace. Step away from the luminous sphere … let it ebb back into the small flower, petals folding … see the bud float into you open hand … sense how its power wishes to stay alive in you … for its beauty to unfold whenever you need loving. Here is how – place the rose and the whole experience of rose-becoming into your heart. Over the years I composed many similar imageries with archetypal themes. They are tools of reflection I use with clients and in workshops. When I guide, the process becomes subtly interactive and explorative. Some journeys are safe to walk alone, like the one above, and they are as powerful as your imagination allows. Should I share more such imageries? Let me know. The poem from ‘Open Secret’ – Rumi transl. by John Moyne and Coleman Barks.